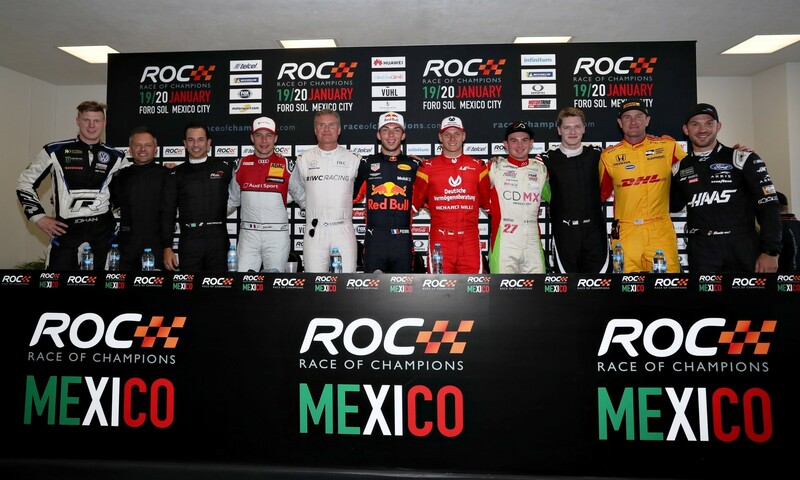 The 2019 Race of Champions took place this past week in Mexico. 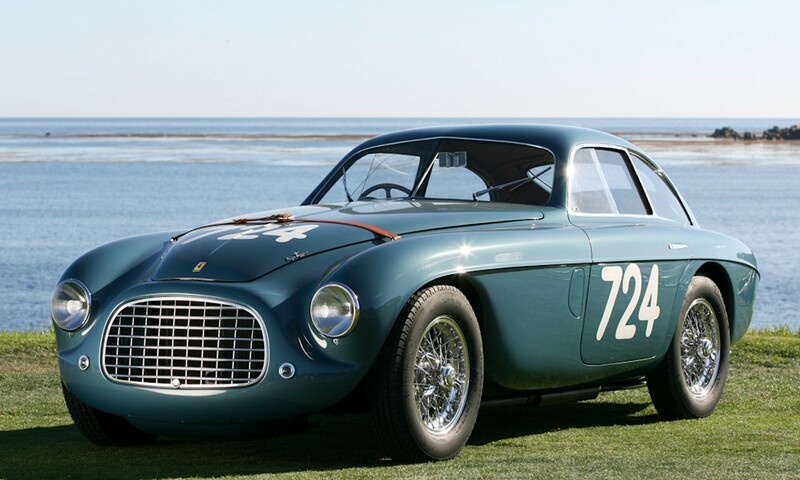 The event is a gathering of some of the best drivers in the world of motorsport from several different series. 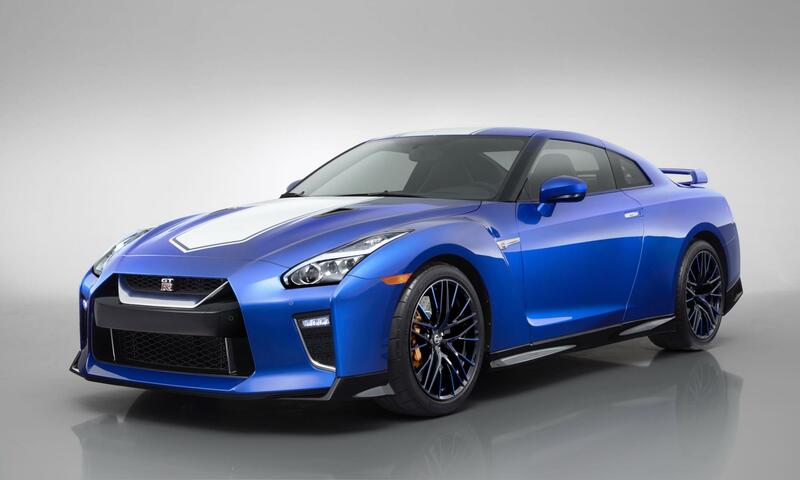 The annual race brings together drivers from Formula 1, IndyCar, Nascar, Rallycross and Le Mans and sets them free to battle head-to-head in equal machinery. 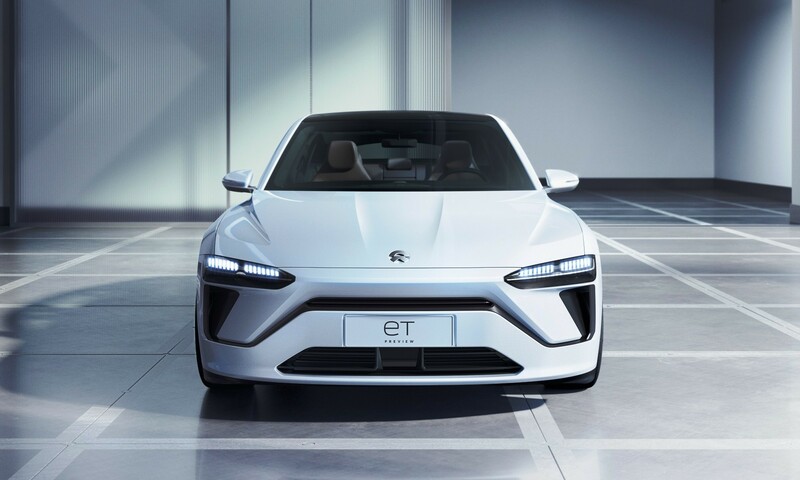 The driving list this year included 2016-2017 Formula E champion Lucas di Grassi and triple Indy 500 winner Helio Castroneves who represented Brazil. Formula 1 driver, Pierre Gasly and 2013 Le Mans 24 Hours winner Loic Duval drove for France. 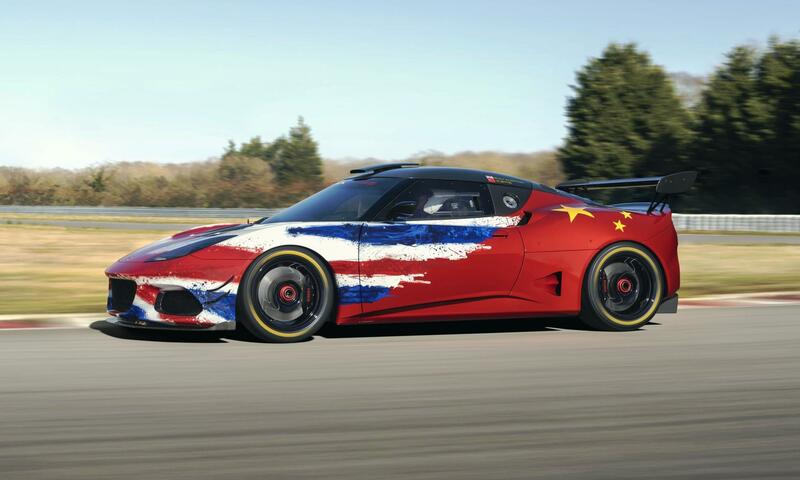 13-time Formula 1 grand prix winner, David Coulthard, and triple World Touring Car champion Andy Priaulx teamed up for Great Britain. Rising star, 2018 FIA Formula 3 European champion Mick Schumacher joined four-time F1 champ Vettel to fly the German flag. 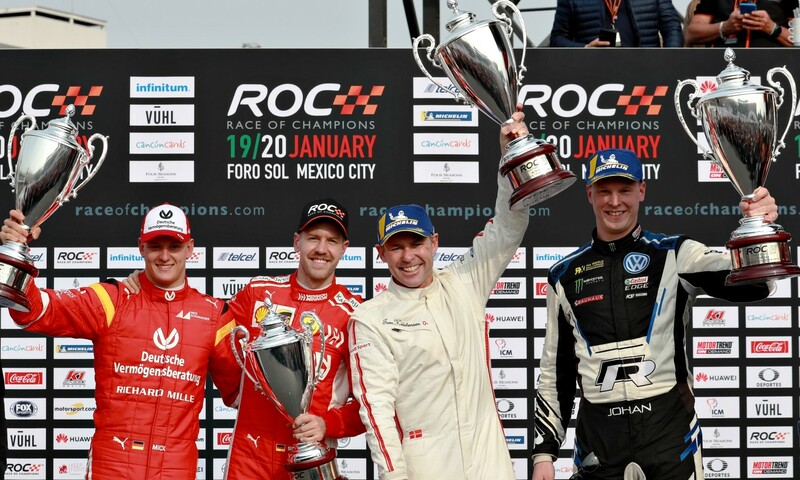 Team Mexico was represented by 2012 Production World Rally champion, Benito Guerra, 2017 European Le Mans Series champion, Memo Rojas, F1 driver Estaban Gutierrez and 2018 Indy Lights champion Patrcio O’ Ward. Nine-time Le Mans 24 Hours winner, Tom Kristensen and double World Rallycross champion Johan Kristofferson drove for team Nordic. The final pairing consisted of team USA drivers Ryan Hunter-Reay (2014 Indy 500 winner) and Josef Newgarden the 2017 IndyCar champ. 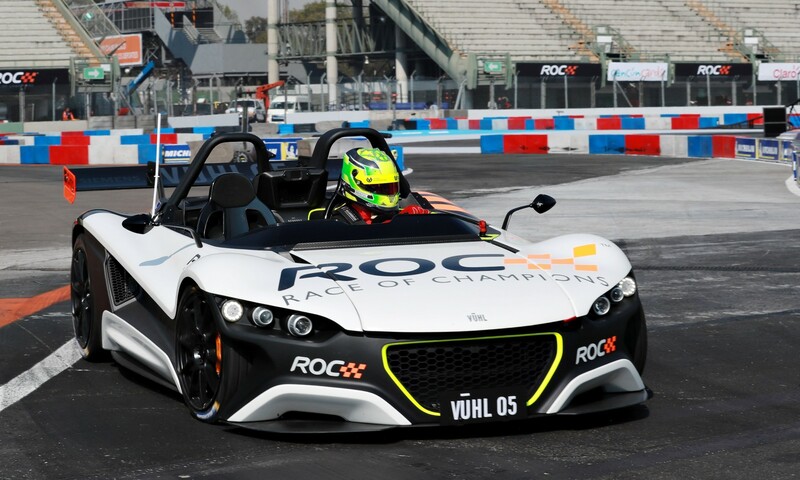 The drivers raced a range of race machinery including the Mexican-built Vuhl 05 ROC Edition 2019 supercar, an Ariel Atom Cup, Stadium Super Trucks, RX Supercar Lite, Speed SXS UTVs, KTM X-Bow and a series-specific ROC buggy. 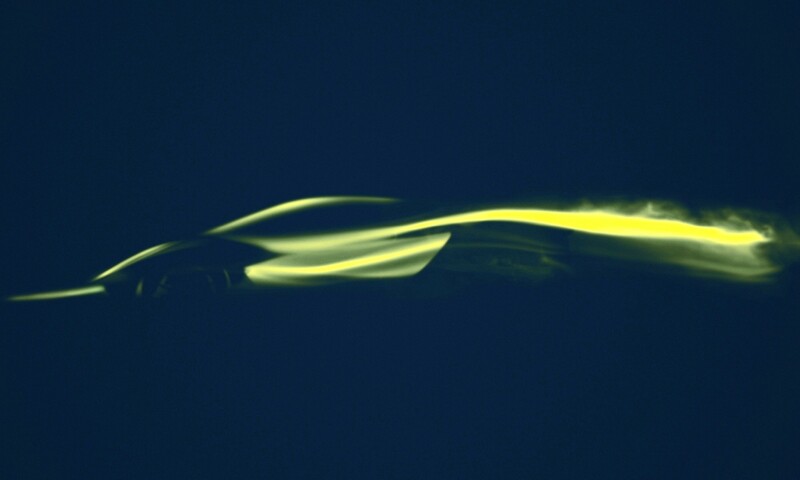 Click here to read about SA’s first DTM driver. 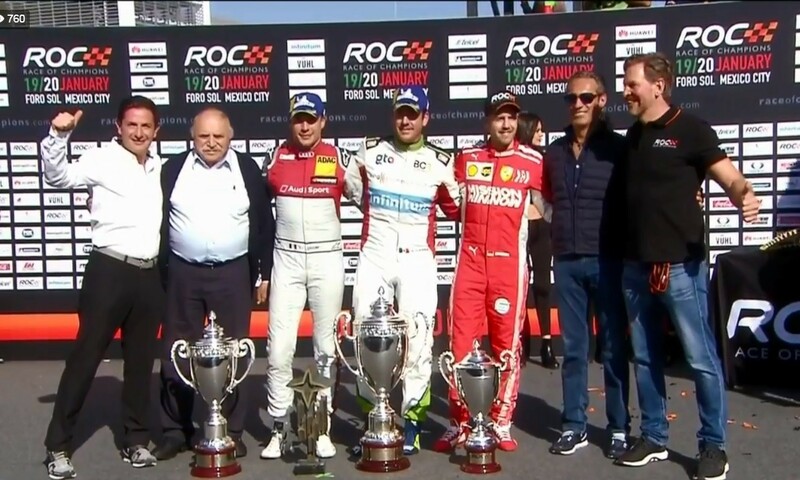 Kristensen and Kristofferson stormed to the ROC Nations Cup title on the Saturday of the 2019 Race of Champions. The duo defeated Germany’s Sebastian Vettel and Mick Schumacher by two heats to one in a thrilling final. On Sunday drivers competed for individual honours. In the early stages, Schumacher pulled off one of the biggest upsets by eliminating Vettel from the competition. The youngster was beaten a round later. 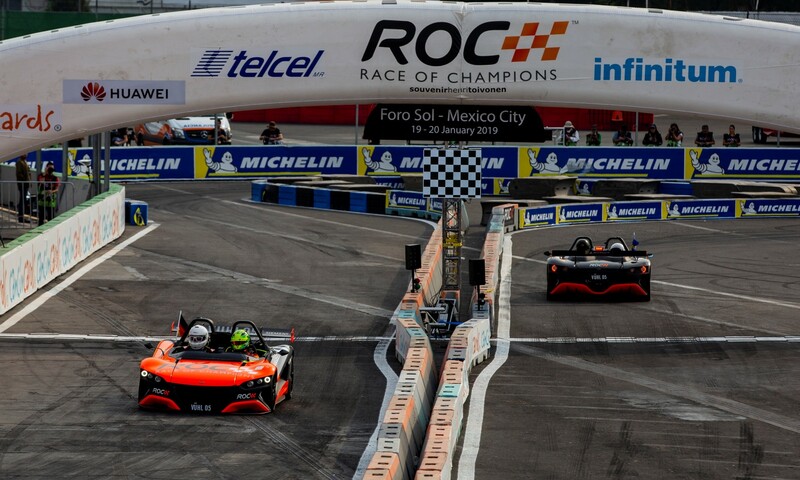 The final consisted of Frenchman Loic Duval and local lad Benito Guerra. In the three-leg final the relatively unknown Mexican rally driver took the title 2-0 in front of his home crowd. Click here to see all the 2019 Race of Champions video action.